We want you to avail the best luxury products with all the necessary and proper certifications. Hence, Conflict-Free Diamonds is Our Guarantee. All Solitaires on Popley and Garner Bears are strictly sought from areas that are free of conflict, based on personal knowledge and/or written guarantees provided by the supplier of diamonds.” We will continue to support and promote any process that works to uphold legitimacy in the diamond trade. You are assured to get home the best quality products with proper certification and free* delivery. When you find that your favourite watch brand, like Rado, Calvin Klein, Tissot, Omega or Tag Heuer along with a beautiful pair of diamond earrings, pendant or a platinum ring is available online at very low prices under some great offers, nothing could stop you from owning one. Online jewellery shopping has become so much more comfortable and affordable with the plethora of deals and offers we bring forth on a daily basis. Exciting both women and men alike, offers and deals do rounds on Garner Bears not only with Diamond jewellery, gold jewellery, platinum jewellery but also top-notch brands like Tag Heuer India, Montegrappa, Vertu and lifestyle accessories and so many more. There is something for everyone and that too from the most sought-after brands. We offer you a wide range of luxury watches along with loose solitaires with over a standing collection of 45,000 diamonds in various cuts, colours and sizes. Apart from the best deals & offers online, you also have the option to pay for your most favourite products using our EMI option. Now you need not refrain from purchasing that expensive watch or diamond rings you always wished to own. It is very easy to shop online for your favourite brands. Wedding jewellery is also assorted for you under various sections like bangles, necklaces, mangalsutras suitable for work wear and more. 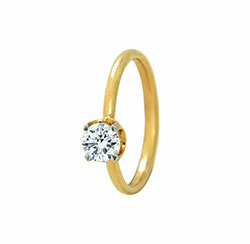 Engagement rings are trending and a popular choice for an additional sparkle and beautiful memories. It can be a combination of diamond and platinum, Rose-gold is also very stylish and luxurious. A wedding ceremony in one, which sparkles with love, memories and lots of jewellery. Tune in to the latest fashion jewellery trends by shopping online. Give yourself a jewellery makeover with our collection and one-of- a-kind pieces. From, gold jewellery to bridal and antique jewellery find the latest jewellery designs for earrings, rings, pendants, necklaces, bracelets and lots more! From precious stones that have an intriguing matrix, to unblemished pearl jewellery and conflict free diamonds, buy online and update your jewellery collection with the latest styles and best brands. Our store has a varied collection of jewellery that will suit your preferred, individual taste. Browse through traditional gold jewellery designs, gold coins for festive occasions. Find the latest jewellery designs for earrings, rings, pendants, necklaces, bracelets in various materials platinum, gold, white gold, rose gold and more to look your coolest best. So whether you are shopping for Mottomo Pearls, royal Rajasthani jewellery, kundan jewellery, Kashmiri Jhumkis or temple jewellery, Garner Bears ships anywhere in India. Indulge in our collection that is alluring and tantalizing. While the collection of jewellery is vast, if you are a stickler for brands, then we have popular jewellery brands, which include Omega India, Rado, Calvin Klein, Tag Heuer and many more. Don’t forget to browse through the designer jewellery store, which is stocked with some absolutely compelling designer jewellery. With an array of intriguing and delightful styles, you can buy online, jewellery for every single occasion. So, what are you waiting for? String on the pearls, add glamour with the diamonds, glitter in gold or simply add a touch of attitude with some fashion jewellery! Whether it’s a diaphanous silk saree or formal work wear check out the wide collection of jewellery, sort by price, type, colour, material, brand and customer reviews and zero in on the one of your choice! Demonstrating sensitivity to the region paralleled by an understanding of the markets, the Popley Group and Garner Bears’ mission is to build a bridge between the cultures of the East and West and promote luxury lifestyle in India & the Middle East. Constantly aiming for market leadership in each of its sectors and each sphere of activity, the Group is guided by the philosophy of being "Committed to Excellence". With the aim of optimizing performance of brands, providing quality service and offering a stimulating work environment, the Group cultivates the core values of Excellence, Respect and Entrepreneurial Spirit. Garner Bears does not purchase polished diamonds from sources, which are not professional members of the diamond trade. Garner Bears has binding contracts with our suppliers, which guarantee that the solitaires they offer to us for sale are conflict-free. We understand that our customers care where their diamonds come from and we share that concern with you. By shopping GarnerBears.com, we strive to maintain the highest standards including sourcing diamonds from reputable providers. Garner Bears, along with the global diamond industry, has a zero-tolerance policy toward conflict diamonds. Through measures such as the Kimberley Process, which tracks diamonds from mine to market, the industry in partnership with the United Nations, governments, and non-governmental organizations, polices diamond exports to prevent the trade of illegal diamonds.